If you currently use a mobility scooter or power chair or are considering using one in the future – this free booklet is for you. 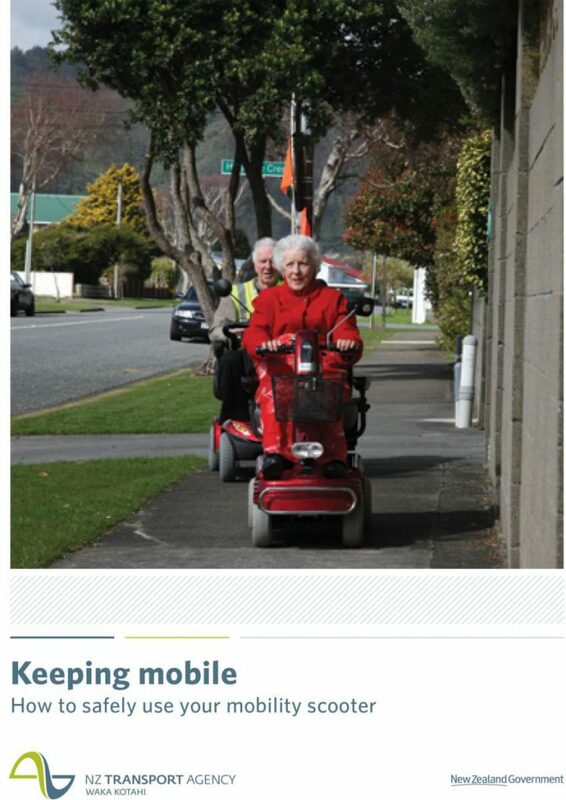 Published by the NZ Transport Agency, Keeping Mobile: how to safely use your mobility scooter covers topics including scooter users’ rights and responsibilities, safety and maintenance tips, advice on choosing the right scooter, and much more. If your family member decides to use a power chair or mobility scooter, or if it’s been awhile since they’ve ridden one outdoors, training courses are available. To find out more about courses in your area contact your local road safety coordinator (your local council can tell you who this is). You don’t need a driver’s license to operate a scooter, nor do they need a warrant of fitness or registration, but there are some important legal safety requirements that you or your family member need to know about. Download your own copy of the Keeping Mobile booklet here. The agency also has lots of useful information about driving with disabilities and medical conditions.